As a process transformation company, Sutherland rethinks and rebuilds processes for the digital age by combining the speed and insight of design thinking with the scale and accuracy of data analytics. We have been helping customers across industries from financial services to health care, achieve greater agility through transformed and automated customer experiences for over 30 years. Headquartered in Rochester, N.Y., Sutherland employs thousands of professionals spanning 20 countries around the world. 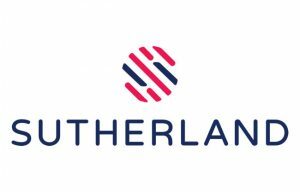 Opened in 2008 in Sofia, Sutherland Bulgaria is a multi-lingual customer service hub and has since grown to more than 2500 employees in five different sites, three in Sofia, one in Burgas and one in Varna. Our local team of professionals provides technical support and customer service in more than 16 European languages. Sutherland`s vision is to be a preferred technology and business outsourcing service provider in the markets in which we operate. Our mission is to help our customers achieve maximum value in their customer cycle and increase their competitiveness in productivity and efficiency by delivering measurable results. Sofia: Serdika Mall: 48 Sitnyakovo Blvd. BSR: 3 Nikola Tesla Str. Burgas: Galleria Mall: 6 Yanko Komitov Str. Varna: Black Sea Capital Center: 20 Sofronii Vrachanski Str.